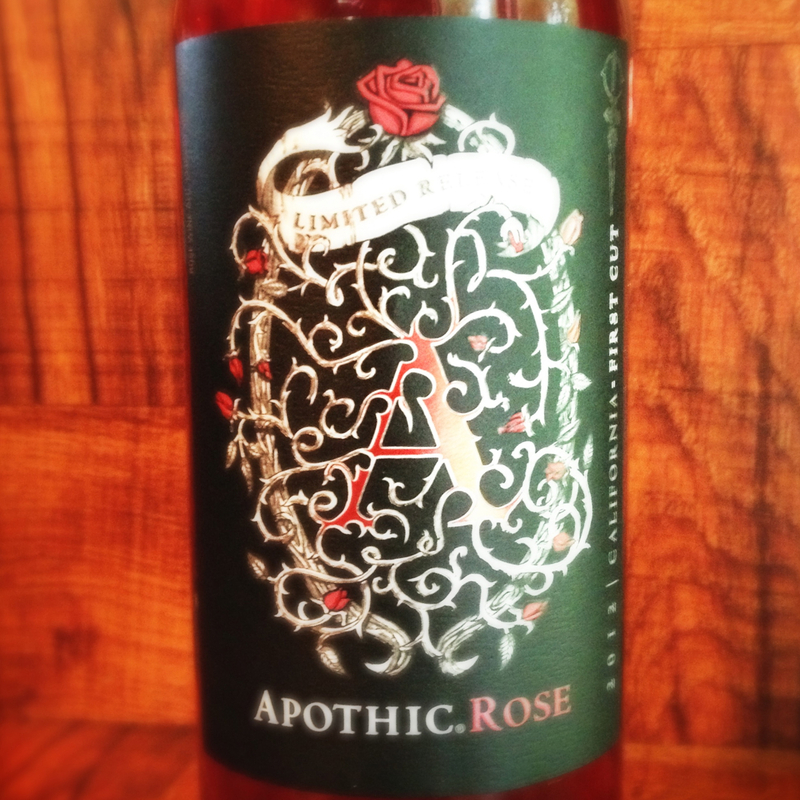 Summer Sippers, Wine… – Who Eats Like This? I love Pinterest. Can I just say that? Seriously, I swear, it has become a search engine for me and all things food & beverage! I “googled” the search term “cocktails made with wine” while researching for this blog post and the second listing in Google was a link to a board on Pinterest titled Cocktails Made with Wine. Click on the link to see this board; it’s pretty incredible how creative people are with wine! Gone are the days, where the only way you found wine, other than by itself in a glass, was as a spritzer! 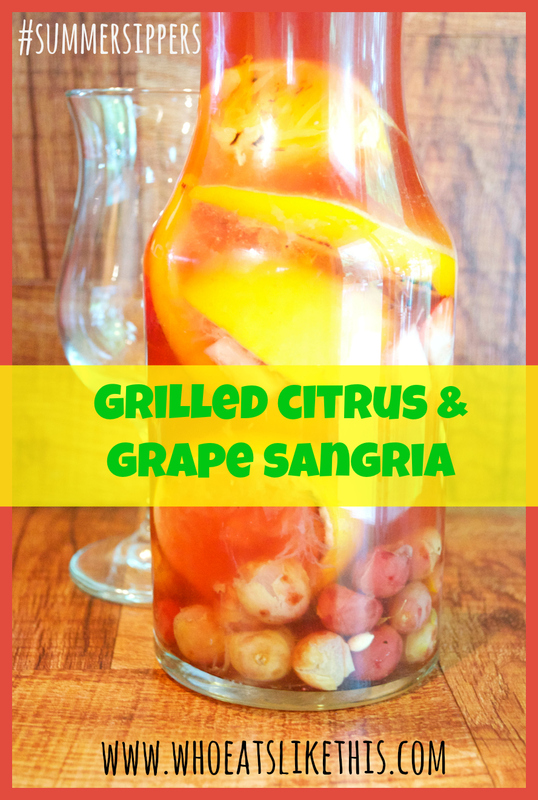 In putting together this post, I decided my focus was to be Sangria. I had many friends share their Sangria recipes with me. One of those, listed below, was given to me by husband & wife foodie duo, Lynne & Keith Morioka. It’s what I will be making next! I was also surprised to see what a popular drink it has become, with so many delicious variations on the traditional white or red Sangria. We are gearing up for a birthday-Father’s day camping weekend and so I thought it would be fun to make a batch to bring with us. 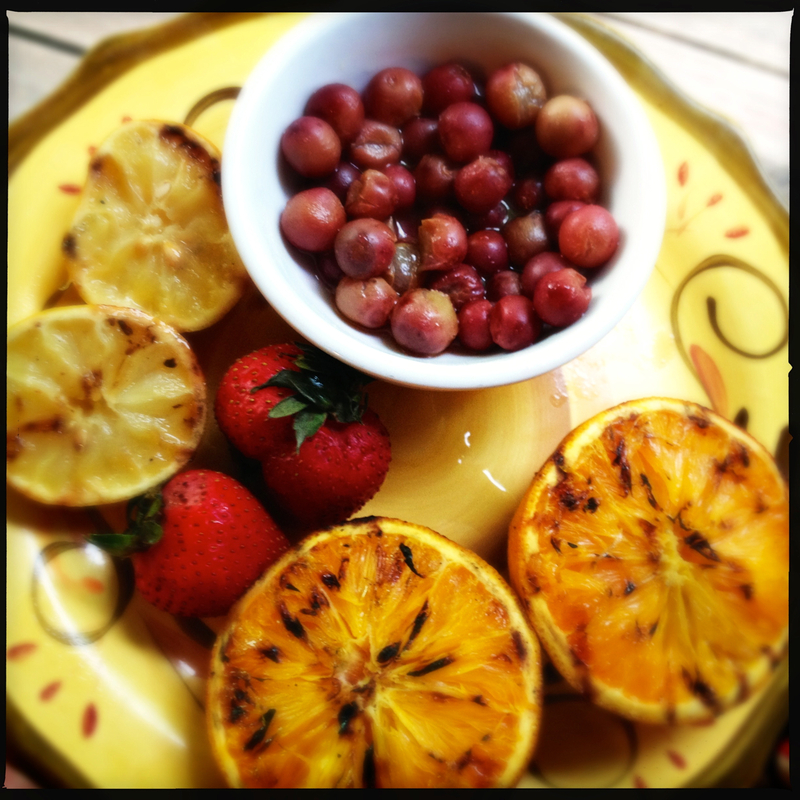 I decided to try the Grilled Citrus and Grape Sangria. In the future, I am going to try to gently smoke some fruit for a Sangria too! Combine everything but the club soda together in a pitcher, and chill for several hours. 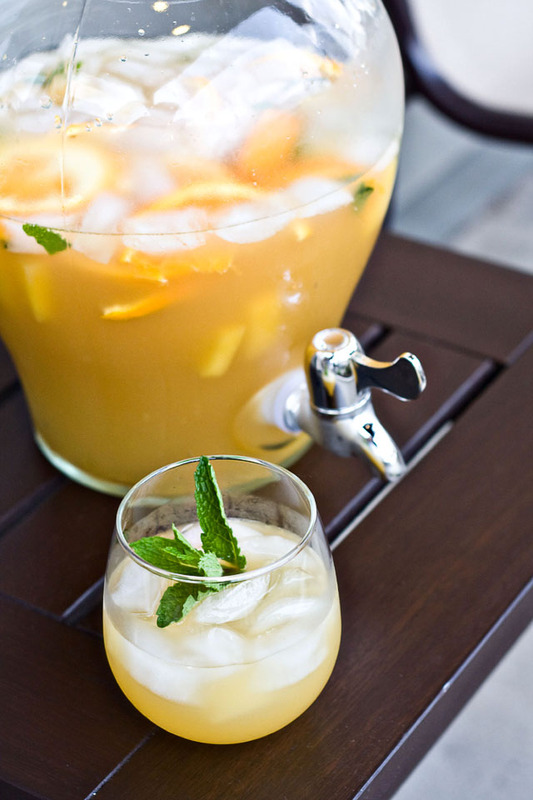 When ready to serve, pour some club soda in the glass, pour Sangria in to top it off. I prefer not to have any ice in the glass, as I don’t like to water my Sangria’s down as the ice melts. With the fruit, I think that I actually used less than a whole apple and less than a whole Pear. The fruit will soak up the booze, so make sure that you eat that too! And another recipe, from the wonderful John Michael Lerma was for his famous Hollywood Sangria. Sounds like another winner to me! 1. Place all ingredients into a large glass or ceramic container. Cover and let flavors blend while warm for 2 hours, then refrigerator overnight. Serve in decorative glasses filled with ice and fresh fruit. Serves 24 or more. Another gorgeous Sangria recipe I found on Pinterest was that of this Pineapple Sangria, Erin’s Food Files. She graciously allowed me to use her picture, which makes my mouth water! I love how she uses Pineapple soda as well! Girl versus Dough shares her Sangria Slushies, totally a grown-up snow-cone in my book! In this same post, she shares a recipe for White Wine & Elderflower Sangria, so be sure to check that out too! Here’s hoping for a long, hot summer, where we can sit back and enjoy these perfect Sangria recipes!